What is The November Coalition? We are people like you all over the world who condemn drug prohibition laws and oppose U.S. Drug War policies. We are prisoners and parents of those incarcerated; we are wives, sisters, brothers, children, aunts, uncles and cousins. We're friends of prisoners, legal professionals and concerned individuals, too. All across this land of America, we're anyone sick and tired of conflicted and ineffective illegal-drug laws; repressive legislation that long ago needed reexamination and redirection by national and international officials. The November Coalition was founded in 1997 as a non-profit, grassroots organization with a mission to raise awareness in individuals and communities. There is a spiraling increase in numbers of imprisoned in the United States due to drug-law enforcement. We arouse and activate fellow taxpayers about existing and impending dangers of an overly powerful federal government acting beyond constitutional constraints. We counsel victims of this peculiar 'war,' most of whom were minor participants, and warn our fellow citizens of the steady erosion of civil liberties, human rights and personal freedoms allowed by federal and state authorities. Coalition members and supporters are convinced that the War on Drugs does nothing but stimulate an ever more profitable and violent underground economy. The intent of any law should create a safer country and safer world, not one more costly and less free. This edition of The Razor Wire is available as a full size, full color, fully printable Adobe Acrobat PDF file. Click to open; right-click (control-click) to save on your hard drive. · Letters: We receive lots of mail. Rest assured that we read every one of them, but we simply don't have the time or staff to actually respond to more than a few. · Legal cases: We cannot offer you legal representation or advice. Please do not send us your legal work unless specifically requested. · Prisoner profiles (The WALL): Please continue to submit your stories, but if at all possible, send pictures with them, preferably of a prison visit with your loved ones. Stories should be concise, factual, and include personal background such as age, family status etc. Although The November Coalition staff endeavors to verify the accuracy of WALL stories, written by the prisoners themselves, we assume no responsibility for their content. Credentialed media can be provided with documentation and family contacts if they wish to research a story. To do so, please contact moreinfo©november.org. · Articles for Razor Wire & Internet: Editorials should be no more than 800 words; articles no more than 1,200 words. Submitted items should be typed & double spaced, or neatly printed by hand if you don't have access to a typewriter. Please limit the use of bold, italics, underline, or other special formatting. · Artwork: We need your cartoons and sketches, please! Let your creativity and imagination run wild. · Donations: We will gladly accept postage stamps from prisoners and others, as well as monetary donations. The Razor Wire is a publication of The November Coalition, a nonprofit organization that advocates drug law reform. Contact information: moreinfo©november.org, 282 West Astor, Colville, Washington 99114 - Ph: (509) 684-1550 - JOIN TODAY! 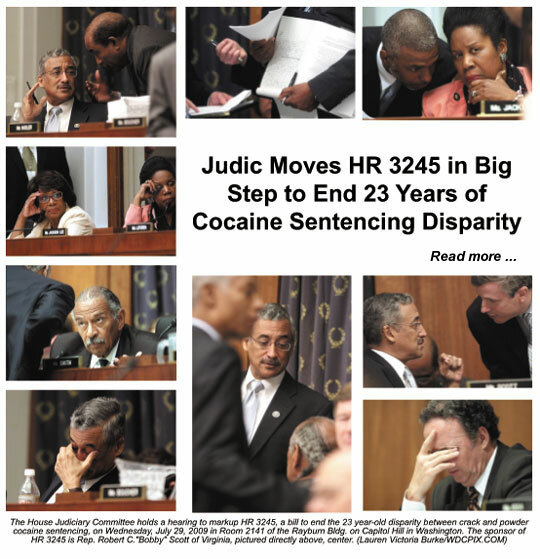 The Drug War Chronicle (weekly) - The "World's Leading Drug Policy Newsletter", an original weekly e-zine, with editorials, news items, and timely alerts on legislation and activism. The DrugSense Weekly Newsletter - If you are concerned about the War on Drugs, sign up for the DrugSense Weekly to become informed and active. "DrugSense Means Education." The Drug Policy Alliance Newsletter (weekly) - "Envisioning new drug policies based on science, compassion, health and human rights and a just society in which the fears, prejudices and punitive prohibitions of today are no more." The Media Awareness Project: Drugnews Digest (several times daily) - The Drugnews-Digest (DND) is a one-way summary and source of current drug-related news. Full articles cited are available on the Media Awareness Project (MAP) web site.